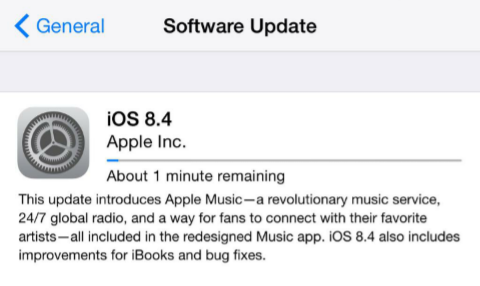 Apple iOS has been released with awaited Apple Music. Apple Music provides 24/7 global Radio and is free for first 3 months. The updatr brings redesigned Music app, improvement in iBook and few bug fixes, but it looks like the update is mainly for Apple Music which was revealed in WWDC 2015. As the update says "This update introduces Apple Music - a revolutionary Music service, 24/7 global radio, and a way for fans to connect with their favorite artista - all included in the redesigned Music app. iOS 7.4 also includes improvements for iBook and bug fixes." . Tell your view through comment.